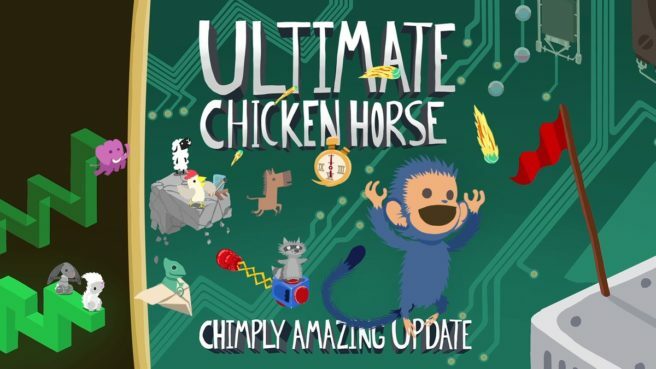 While it was earlier confirmed that the chaotic party platformer Ultimate Chicken Horse will finally be launching on the Switch eShop on September 25, developer and publisher Clever Endeavour Games has now also revealed that a new “Chimply Amazing” update will be part of the new release on the same date. On top of adding a playable chimp character, the update looks to add a fresh batch of never-before-seen blocks, levels, and customization options. These involve new ways to personalize user-created levels, as well as uniques custom rulesets to add to each round of play. Be sure to check out the “Chimply Amazing” footage below.